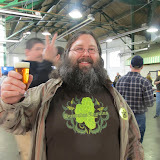 Beer festivals, a new job as brand ambassador, and a few travels made 2012 the year in beer that it was for The Hoppy Nomad. Take a look at the proof! Cheers!